Distance: 9.6 miles/15.5 km - Approx 5 hours. Ascent: 1,082 feet/330 metres Terrain: Lane and field paths, steep at times on the outward leg, before climbing up to the high moor escarpment. 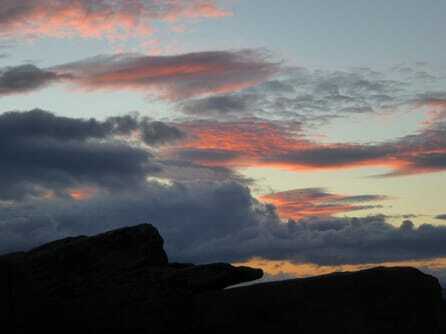 The moor paths are mostly level but rocky and occasionally wet, and with some paved areas. The return is mostly by dry and well-constructed tracks. 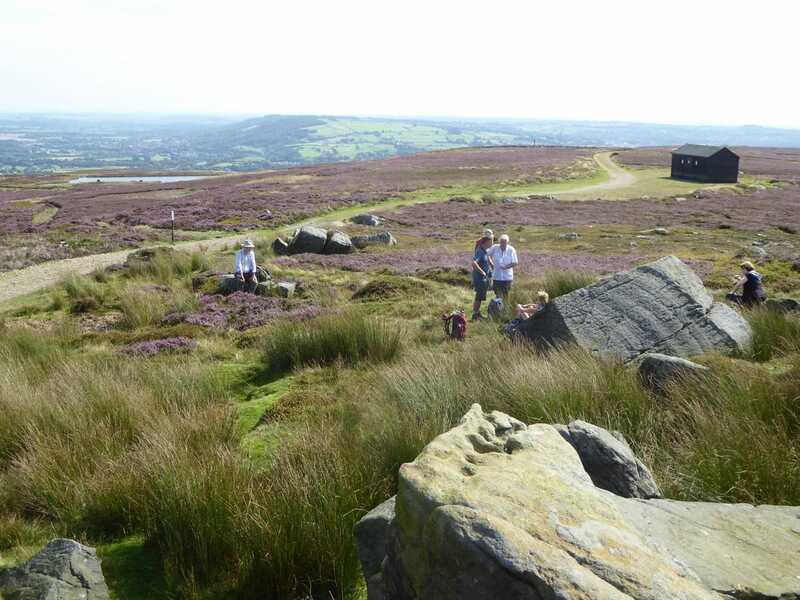 ​Introduction: This walk takes you from Burley-in-Wharfedale to the highest point on Ilkley Moor. The route takes you by a number of the important landmarks on the moor, Lanshaw Lad, the Trig point, The Twelve Apostles stone circle, Ashlar Chair and the three reservoirs on Burley Moor, as well as providing some fantastic views. Lanshaw Lad is a large, 19th century, rectangular stone marking the boundary between Ilkley and Burley parishes. The Trig. point at the highest point of the moor at 1,319 ft (402 metres) is believed to be the site of an ancient burial cairn. The Twelve Apostles Stone Circle were originally between 16 and 20 stones, erected some 4,000 years ago. Over the years, various “restorations” have resulted in the 12 we see today. Ashlar Chair is a distinctive rock at the meeting- point of Bingley, Burley, Morton and Ilkley moors. It was once known as the Druid’s Chair and may (or may not) have been used in religious ceremonies and was allegedly a meeting point for the Pendle Witches. Of the three Burley Moor reservoirs, the two Lanshaw dams were originally constructed to feed Bleach Mill in the mid C19th. The largest, Carr Bottom Reservoir, was opened in 1903 to provide Burley’s water supply and holds 17.2 million gallons. Refreshment opportunities are found towards the end of the walk at Bleach Mill House, or with a slight route variation at the Hermit pub.